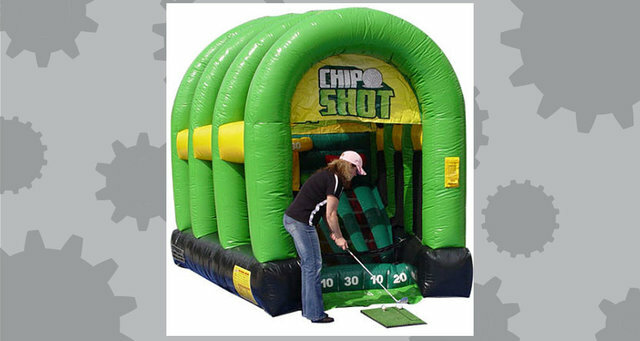 The Chip Shot Golf Game is a great golfing inflatable game for corporate events, school carnivals, or any golf themed event. The inflatable comes with a chipping green, and chipping wedge club. It even keeps score for you. Check out the diagram below to see how it works.